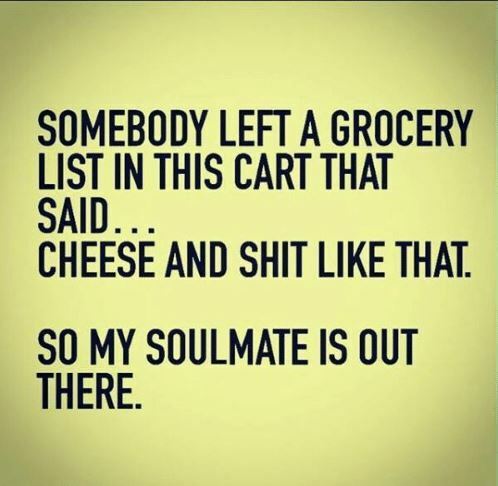 The cheesiness was to continue, completely unintentionally and somewhat bizarrely, when a conversation with a friend turned to the subject of these particular dairy products – not a usual topic of late night conversation before bedtime, but an interesting one, nevertheless. That particular conversation was the prompt for me to begin a voyage of discovery, starting with the US Food & Drug Administration and the rules governing the sending of cheese to the States and ending with some in-depth research into the various types of true Wensleydale cheeses. It also led to the discovery that Aldi have stores in the USA – something I’d been blissfully unaware of, as much as my friend had been equally unaware that we have them in the UK too. This led to the rather freakish coincidence of discovering that we’d both been shopping in the same store for the same cheese at almost exactly the same time, albeit on different sides of the Atlantic. SL can be weired like that: The most random and disparate occurrences can somehow combine to produce an interconnected matrix of improbable connections… And, it seems to happen to me all the time. I’m not the only one though – not so long ago, we took to naming one of our cohort the angel of death because it seemed that any celebrity they happened to mention in conversation would promptly drop dead within the ensuing 48 hours… And this happened with alarming frequency. Eventually, the poor chap became so paranoid that he was scared to mention anyone by name, since to do so was almost guaranteed to condemn them to an early grave! Then we have the sentient audio stream that somehow, without fail, and no matter what the content of the radio show might be at the time, manages to contrive to play Cliff Richard or The Beach Boys within mere seconds of one of our merry band turning up who just happens to loathe these artists with a passion, second to none. It’s hilarious! I’m sure you can come up with your own similar examples and I’m equally sure that such weird connections and coincidences occur in the real world too, it’s just that the sheer oddness and frequency of them happening inworld makes them far more intriguing than if they were mere boring coincidence, and like so much in SL, the normal laws of nature, physics and causality seem to bend and flex fast more than they really should in the normal flow of things. In fact, I’ve seen enough of these peculiarities to convince me that there’s something of some other nature at work here. Let’s not go down the route of calling it magic, for that would be plain daft, but I think we safely say that – in the same way that space-time becomes warped as you near the speed of light, the reality-rationality continuum warps and stretches in ways that are both unexpected and unlikely. We shall call this, Seren’s Theory of Unlikely Patterns in Dimensions (STUPiD, for short). My theory posits that when a physical object, such as a person in the real world, interacts with a virtual dimension, disturbances in the reality-rationality continuum occur and that the greater the interaction, the more disruptive these disturbances, thereby generating irrationality waves throughout the probability spectrum. Where these waves cross and intersect, spurious anomalies can arise… The unlikely becomes a certainty, the impossible becomes the norm, and as the waves of irrationality continue to crash and collide upon the shore of inevitably, ever greater weirdness becomes inevitable as we walk the promenade of coincidence, trying not to get our feet too wet. And that, my friends, is the incontrovertible and definitive scientific explanation for the weird and wonderful coincidences that occur with ridiculous regularity in SL. Fact! Now you know… It’s just STUPiD! 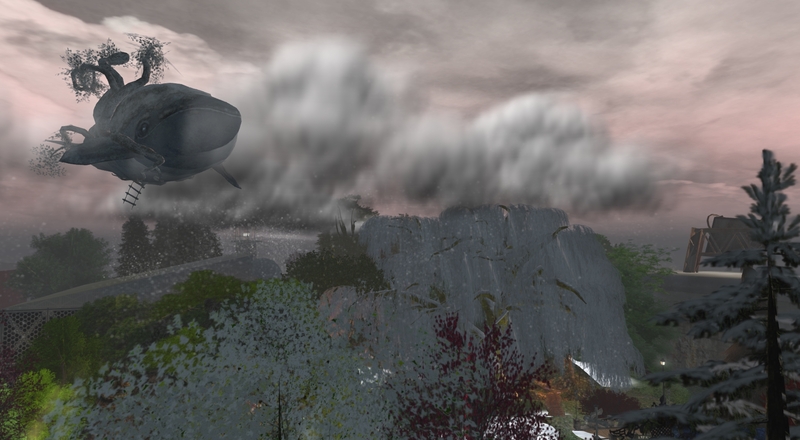 This entry was posted in Half-Baked, Philosophicalisticality, RL, SL. Bookmark the permalink.